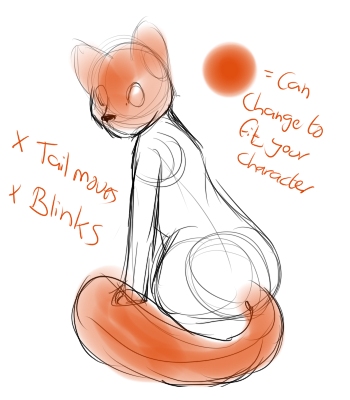 It'll fit most feral/Pokemon/etc with that body shape, head and tail will be changed to fit your character species. The tail will have a simple 'wagging' movement and the character will blink. This will be "the highest bid wins" sort of thing. Full details are in the comments. Ends 48 hours after the post. Thank to every one who helped hatch him and who traded and sold the items to me. He was honestly the most difficult shiny I've ever hunted but that's one down off my list and just one more to go!! After this I know the next on my list won't seem nearly as terrible haha! Congratulations! A shiny Latias hatched out of one of your eggs (Chain #52)! Congratulations! A shiny Cosmog hatched out of one of your eggs (Chain #51)! Congratulations! A shiny Numel hatched out of one of your eggs (Chain #2165)! Congratulations! A shiny Landorus hatched out of one of your eggs (Chain #84)! OMG IT'S OVER ;A; I've been collecting and trying to do this hunt for 8 months and it's .. finally over ;; AHA TAKE THAT SAFARI. Congratulations! A shiny Landorus hatched out of one of your eggs (Chain #61)! Congratulations! A shiny Dialga hatched out of one of your eggs (Chain #84)! Congratulations! A shiny Aron hatched out of one of your eggs (Chain #4974)! Congratulations! A shiny Mareep hatched out of one of your eggs (Chain #5433)! Congratulations! A shiny Heatran hatched out of one of your eggs (Chain #123)! 20:00 Server time if you need assistance. Here's all of my goals plus the progress and everything I'm collecting~!